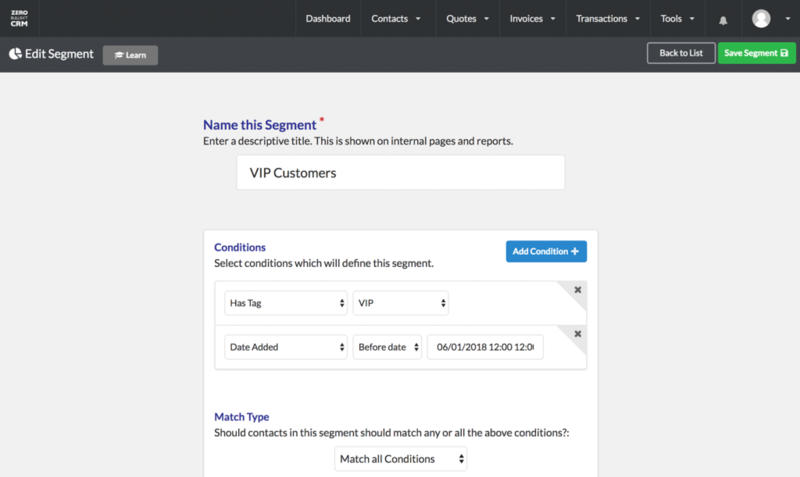 New Feature Create Segments with any contact field. 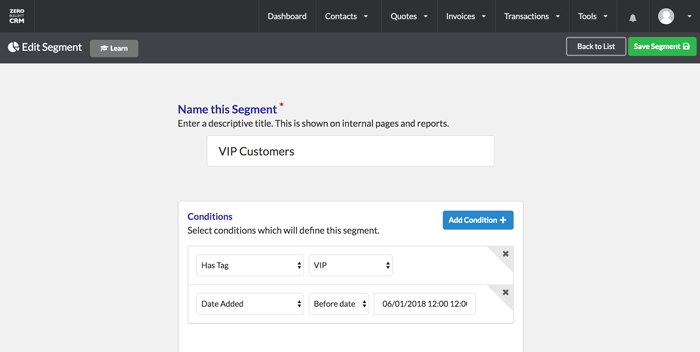 Segments are a hugely powerful tool in a CRM. They let you create ‘dynamic’ groups (E.g. “VIP’s who’ve spent more than $2,000” or “People in Postal Code X” or even “Guys named Dave in State who haven’t spent more than $100”). 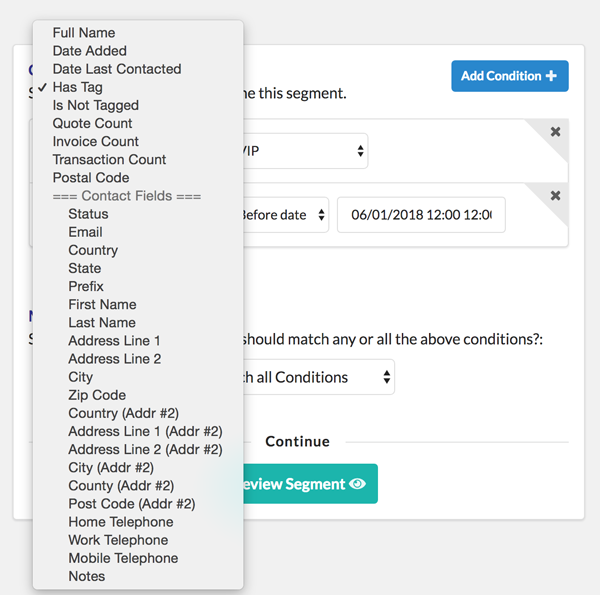 Advanced segments opens up all of the contact fields, and more, as segment ‘conditions’. Note: If you want to use this with our other extensions, your cheapest option is the Entrepreneur’s Bundle. Advanced Segments is included in the Entrepreneur's Bundle - join the other happy entrepreneur's, save $$$ per year and get instant access to every extension!